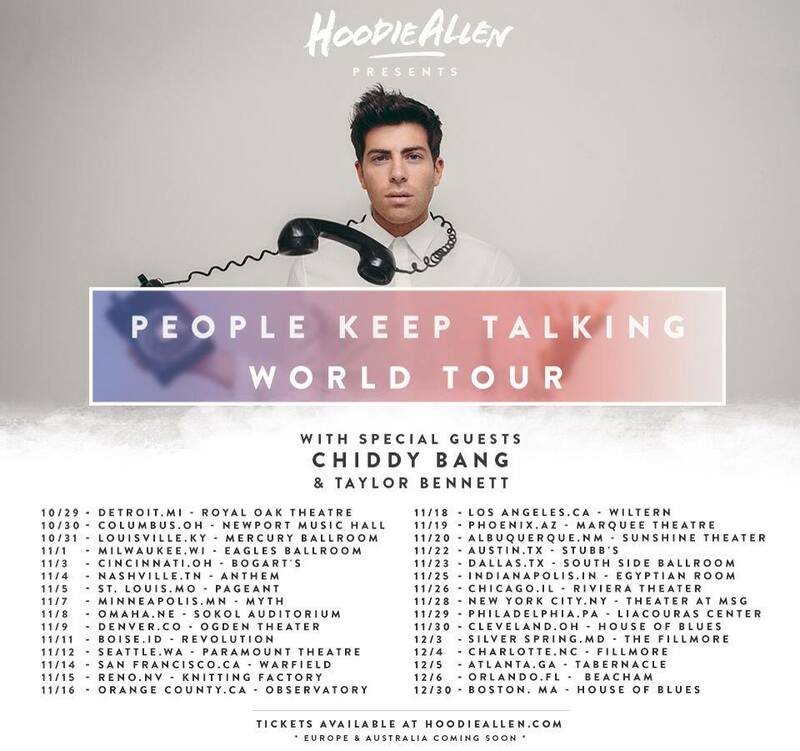 Hoodie Allen’s “People Keep Talking” Out 10/14! Hoodie Allen just revealed the official track listing for his new album “People Keep Talking,” out on October 14th. It’s got some pretty big collaborations on it! Pre-orders for the new album are available on iTunes and Amazon now! You’ll get an instant download of the tracks “Movie” and “Dumb For You.” AND with every pre-order you can enter to win awesome prizes, like a lifetime pass to every future Hoodie Allen concert. Check out the full track listing below! Watch the official video for Hoodie’s latest single, “Movie” below. We love all of the film references in the video – see how many you can spot! Check out all the dates for the “People Keep Talking World Tour” HERE!